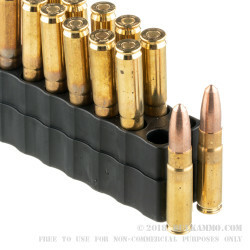 Manufacturer Warning: PMAG GEN M2 5.56 Magazines not recommended for this ammo. PMAG 30 AR 300 B GEN 3 recommended if using PMAG. 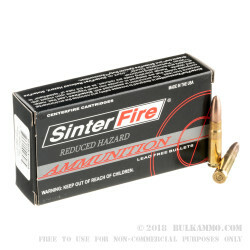 SinterFire is renowned for their focus on making frangible projectiles and loaded ammunition. 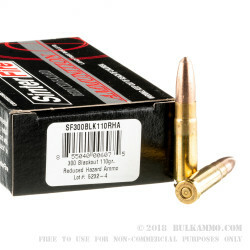 This 300 Blackout ammo is loaded with lead free, frangible bullets that are designed to make training on steel targets safer. 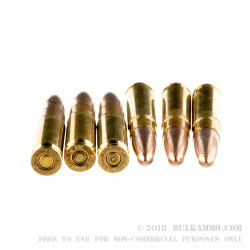 Upon impact with steel, the bullet is designed to turn into powder reducing the chances of dangerous ricochets.